More than two decades ago, Gary Pomerantz watched as Maynard Holbrook Jackson, Jr., the South’s first black mayor, stood in the shade of a dogwood tree in Kennesaw, looking at grave stones covering where his slave forebears were buried. Pomerantz published his book Where Peachtree Meets Sweet Auburn in 1996 after five years of uncovering slave graves in the woods, conducting more than 500 interviews, and filling the holes left behind in Atlanta’s history by a lack of proper documentation. On Thursday night, Pomerantz, who now lives in San Francisco, was invited to the Auburn Avenue Research Library to speak about his book in honor of the opening of Constellations, a self-proclaimed “shared workspace for civic and socially-based individuals” on Auburn Avenue, founded by cultural developer Gene Kansas. The coworking space hosts its official grand opening on Friday. 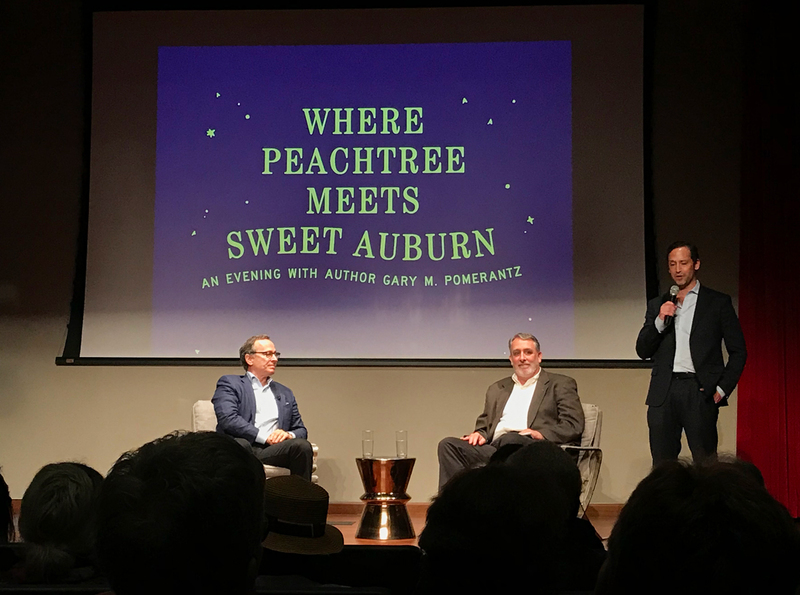 Kansas invited Pomerantz to speak at the event not only to highlight the importance of Atlanta history, but the importance of this particular corner of Auburn Avenue and Peachtree Street. 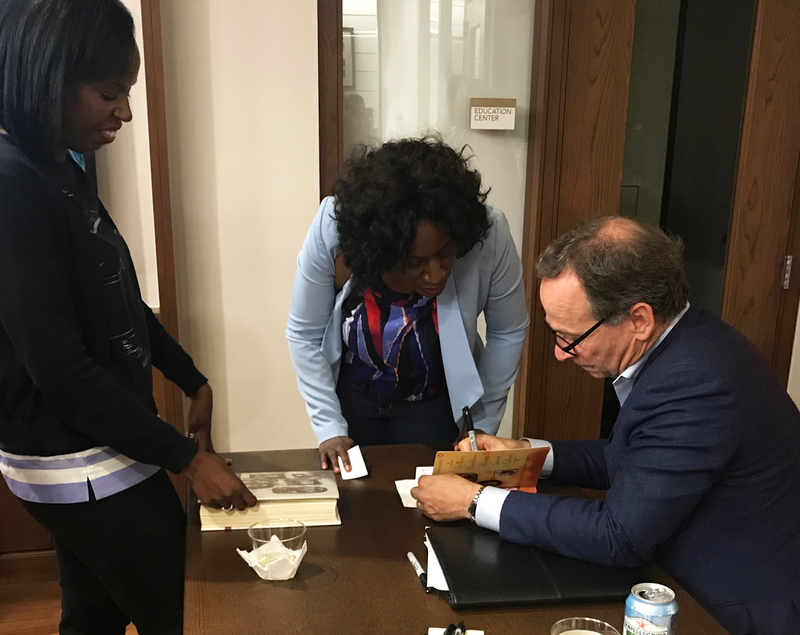 Gary Pomerantz signs copies of his book at the Auburn Avenue Research Library on May 31. And even more than two decades later, Where Sweet Auburn Meets Peachtree still resonates with readers, drawing a large crowd to the opening event, including members of the Allen and the Dobbs families. For Alina Bowie, an accountant and seminary student in Atlanta, this book connected her with her ancestry. While studying the book in school, Bowie learned that a slave record within the book listed her last name. Because she doesn’t have much of a record of her father’s side of the family, this connection was a profound way to learn about her own lineage. Sweet Auburn has also been optioned as a TV series by Auburn Avenue Films. Pomerantz has continued writing and will be publishing his sixth book this fall through Penguin Press.